Is Barnaby Dixon the reincarnation of Jim Henson? 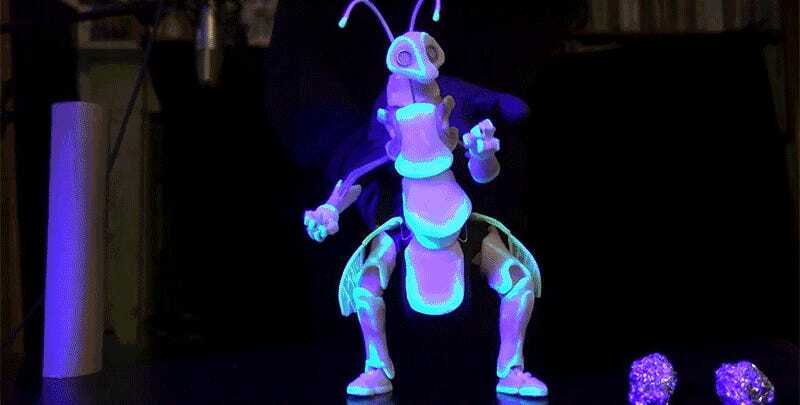 It’s hard to believe that there isn’t at least a little bit of Henson inside the young puppeteer as he demonstrates his latest creation, a glowing bug puppet that’s so articulated it even has moving fingers that can grasp tiny objects. 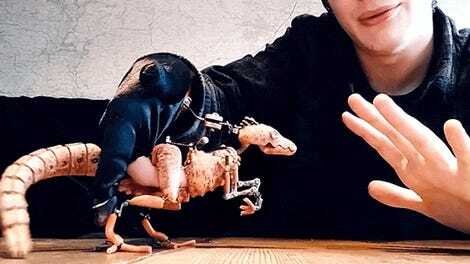 Made from a lightweight, form-fitting plastic, the puppet can be realistically brought to life using just subtle gestures and mannerisms, instead of exaggerated and cartoon-like motions. 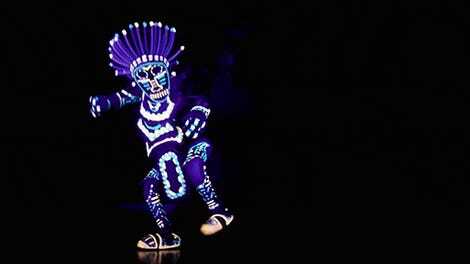 It also glows without the need for a blacklight, so when Dixon turns the lights off, he almost disappears, helping the puppet appear even more like a real creature. 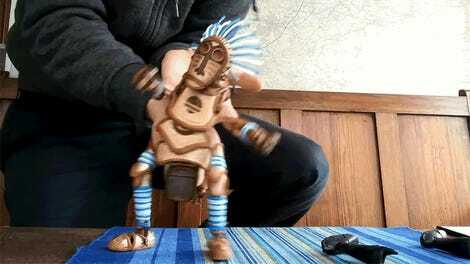 Someone give this kid a job on Sesame Street, or a TV series, already.